We are only in Phuket for one day. We will be arriving in Phuket on a cruise ship at 8.00am and will be leaving at 4.00pm. While we are there we would like to go to the Phi Phi Islands and see the sights and do a little snorkeling. We have to be back at the ship by 3.00pm. 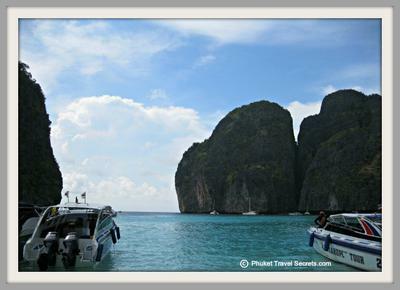 To get to the Phi Phi Islands from your cruise ship in Phuket you will need to catch a speedboat. Depending on the conditions the boat ride out from Phuket to the islands could take around 45 minutes to an hour. Due to having to be back on your cruise ship by 3.00 pm I feel that you will be really pushed for time. Most of the day trips that go to Phi Phi from Phuket would not be back in time for you to be back on the ship. The best suggestion that I can give you is to look at chartering your own private speedboat for the day. I am not sure if it will be possible due to your time limitations, but if you send them a message though this page on our site I am sure they will be able to guide you in the right direction.